Mattresses are a big investment – literally and figuratively. 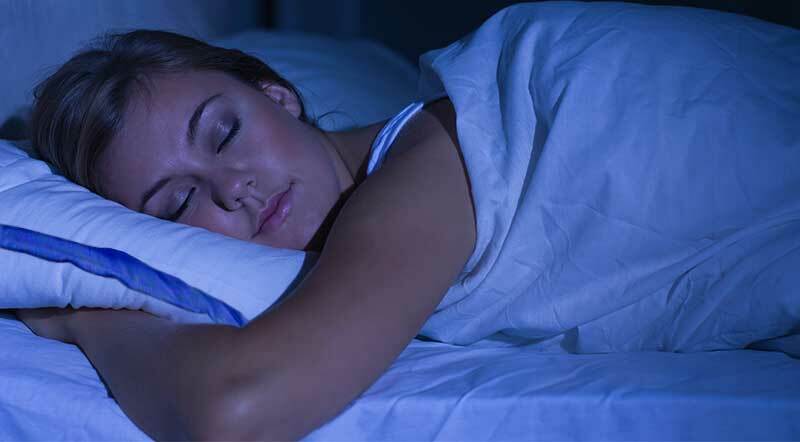 A mattress is expensive, but it helps dictate the quality of your sleep and lasts a long time. Thus, you don’t want to purchase the first mattress you see. You want to do your research. Whether you’re looking for a smart mattress, a mattress that will alleviate joint pain, or the most comfortable mattress you’ve ever slept on, we’re here to help. We’ll compare the best mattresses and help you know what to look for in your mattress purchases. After looking at multiple kinds of mattresses, we’ve identified the Top 5 best mattresses available. Saatva is our pick for Best Overall Mattress. While most of the mattresses we surveyed are comprised of foam, Saatva differentiates itself in its coil-on-coil construction. 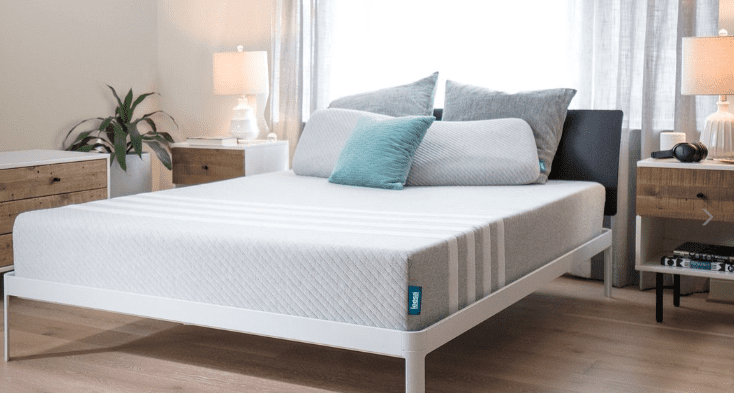 The company prides itself on having mattresses “built for luxury comfort and maximum sustainability.” The coil-on-coil construction helps to prevent motion transfer so is perfect if you share a bed with someone who tosses and turns throughout the night. A Euro pillowtop rests atop the coils and adds additional comfort. 15-year warranty: If your mattress somehow breaks or is deemed defective during the first two years, Saatva will replace it, free of charge. After two years, the company’s 3-15 year policy begins and the company will repair or recover your mattress if need be. 120-day sleep trial: Don’t want to make a rush decision on your mattress purchase? You don’t have to! Saatva will let you test the mattress in-home for 120-days. Customizable firmness levels: Most online mattresses only offer one level of firmness. Saatva offers three: the Saatva Plush Soft, Saatva Luxury Firm, and Saatva Firm. Eco-responsible materials: Saavata’s mattresses are completely made of eco-responsible materials. It helps the company eliminate waste during the production process. Elimination of motion transfer: If your partner tends to toss and turn throughout the night, the coil-on-coil will help keep your side of the bed firm. Free white glove delivery and mattress removal: Saatva’s delivery service will not only deliver your mattress but carry it up your stairs and handle all set-up. Plus, they’ll take away your old mattress! You can’t get any easier than that. Trial and warranty are shorter than some competitors: If we have to list a con, we’ll say that the trial and warranty are shorter than some competitors who offer 360-night trials and lifetime warranties. We should also note that Saatva owns mattress company Loom & Leaf, which also ranked tops on our list for Best All Around Mattress. Loom & Leaf mattress is brought to you by online mattress company Saatva. 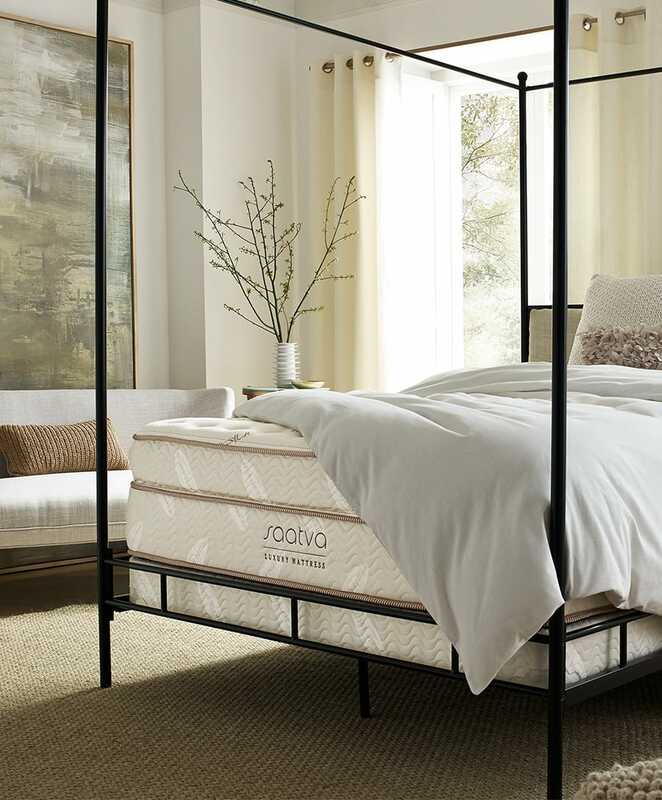 While Saatva offers a coil-on-coil mattress, Loom & Leaf offers a luxury memory foam mattress. If you have joint pain or back pain, we highly recommend this mattress. Plus, it offers the same quality and guarantees that Saatva does including cooling and contouring properties, eco-friendly materials, and some of the best warranties and policies we’ve seen on the market. Reduced Motion Transfer: Sleep with someone who tosses and turns and keeps you up at night? Loom & Leaf can help. Its mattresses offer above-average elimination of motion transfer, meaning your side of the bed will stay firm no matter how hard your partner may toss. Free white glove delivery and old mattress removal: This is a huge benefit and one that is unique to Saatva’s companies. While most mattress companies offer free delivery and optional white glove delivery, Loom & Leaf offers 100% free white glove delivery. What does this mean? The company will deliver to your new mattress directly to your door, deliver it to the room where you would like it set up (no matter how many flights of stairs may be involved), set it up, and remove your old mattress. All free of charge! 15-year warranty: Most mattress companies offer a warranty of sorts, but a 15-year warranty is one of the best we’ve seen. The Loom & Leaf Warranty means that if your mattress is deemed defective during the first two years that you own in (or breaks in any way) Loom & Leaf will replace free of charge. Once you hit three years, the 3-15 year policy goes into effect and Loom & Leaf will repair or recover your mattress if need be but no longer replace it. 120-day sleep trial: Loom & Leaf offers a 120-day sleep trial. This means you’re able to sleep on your mattress for about four months while you debate whether or not to keep it. After three months decide it’s not what you were looking for? Feel free to return it free of charge. Eco-friendly materials: Loom & Leaf mattresses are made entirely of eco-friendly materials. You can sleep better knowing the company is doing its part to reduce your carbon footprint. Sleeps hotter than hybrid mattresses: Foam mattresses are great, but the truth is they don’t sleep as cool as hybrid mattresses. If you’re a hot sleeper, you may want to check out Saatva’s hybrid mattress instead. We do recommend giving Loom & Leaf a try though, as it has two layers built in to keep you cool. Plus, you have 120-days to test the mattress! Edge support: Foam mattresses are known to have weak edge support. It won’t bother everyone, but others have complained about feeling as though they’d roll off the bed. Leesa offers two mattress options, a foam mattress (The Leesa Mattress) and a hybrid mattress (The Sapira Mattress). If you have joint pain, the Leesa mattress will be your best bet. It’s a foam mattress that contours to your body shape. Don’t like foam mattresses? Tr the Sapira, a hybrid mattress that combines the support of original Leesa foam with spring coils to provide even more support. Leesa differentiates itself from competitors thanks to two key reasons. The first is its social impact program. Leesa will donate one mattress for every ten sold and to date has donated more than 30,000 mattresses to 1,000+ non-profit organizations. The second key differentiator is the ease of which you can try a Leesa mattress before purchase. Leesa has two brick-and-mortar showrooms (one in New York and one in Virginia Beach) where interested parties can test the mattresses. It also partners with furniture stores West Elm and Pottery Barn; the stores use Leesa mattresses to showcase their bed frame, so if you’re not near NYC or Virginia beach, you can go into a nearby West Elm or Pottery barn and check out the Leesa mattress. Brick and Mortar partnership: Leesa partners with furniture stores Pottery Barn and West Elm. The stores’ bedframes are fitted with Leesa mattresses and you can go to a nearby store in person to try out a mattress before you purchase. The partnership isn’t available in all stores, so make sure you call in advance. White Glove Delivery: Some mattress companies provide free white glove delivery. Leesa is not one of those companies and charges a small fee. White glove delivery is also not available in all markets, and the company will not remove your old mattress in all markets. The DreamCloud mattress is a hybrid mattress. While most mattresses are comprised of coil-on-coil construction or foam, DreamCloud is a mix. It is constructed of eight layers: a mix of latex, memory foam, cooling gel, a hand-tufted cashmere-blend and proprietary coil technology and a Euro top for a bit of additional comfort. 365-day sleep trial: This is the best sleep trial we’ve seen. DreamCloud will let you sleep on your mattress for a full year and still let you return it if you’re unhappy with it. Comfort for all sleepers: DreamCloud is perfect for all. Whether you’re a side sleeper, back sleeper, stomach sleeper or one that tosses and turns throughout the night, DreamCloud is perfect for you. Cooling materials: Gel-infused memory foam helps prevent you from overheating at night. Everlong Warranty: The Everlong Warranty guarantees the materials, quality, construction and durability of your DreamCloud mattress. If anything happens to your mattress, DreamCloud will cover it by either fixing or replacing the mattress. Free shipping and returns: When you buy a mattress, it ships for free. Don’t like your mattress? Sent it back for free. White Glove Service: DreamCloud offers optional white glove service for removing your old mattress. Cannot be repackaged: Like most boxed mattresses, a DreamCloud mattress cannot be refolded once unpackaged. If you need to move, you’ll need to wrap it like a traditional mattress. Height: DreamCloud mattress is 15 inches high. If you like tall mattresses this is a pro, but if you prefer something a little closer to the floor, this could be a con. Price: A DreamCloud mattress isn’t the cheapest mattress around and can be more expensive than other boxed mattress companies. However, it’s totally worth it in our minds. Shipping Fees: International shipping is currently unavailable, and the company charges additional fees for shipping to Hawaii and Alaska. In our opinion, Nectar offers the best foam mattress on the market. 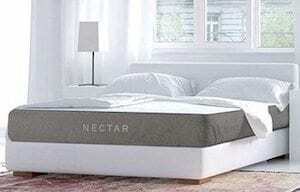 Founded in 2014, the company describes its mattresses as “designed for better sleep.” Nectar’s mattresses are comprised of four layers of foam, each designed to suit a different need. Nectar provides plush yet firm support and keeps you cool throughout the night. 365-day sleep trial: You can’t beat a one-year sleep trial. 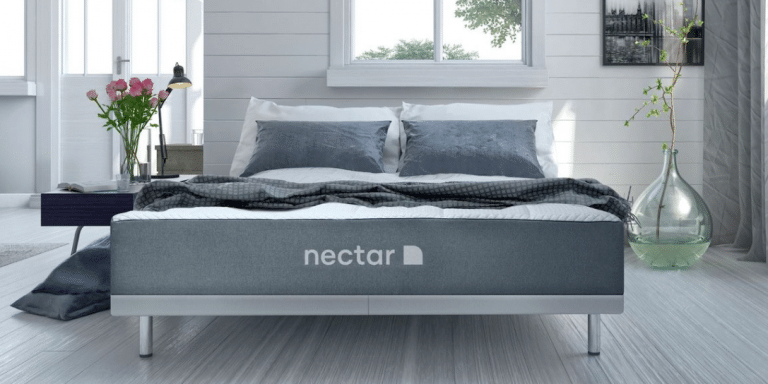 Similar to DreamCloud, Nectar allows you one full year to make up your mind about whether to keep or return your mattress. Everlong Warranty: Nectar has an Everlong Warranty which guarantees the quality, materials, construction, and durability of your mattress. If anything happens to your mattress, Nectar will take fix or replace it. Free shipping and returns: When you buy a mattress from Nectar, it ships free (as long as it is not shipping to Hawaii or Alaska). If for any reason you decide to return your Nectar mattress, you can do so free of charge. Perfect for hot sleepers: Nectar mattresses have a medical-grade cooling system to help you avoid getting too hot at night. Support: Nectar provides plush yet firm support. White Glove Service: Nectar provides an optional white glove service for removing your old existing mattress. Cooling system: While Nectar has an excellent cooling system. However, foam mattresses are not as cool as hybrid mattresses. If you sleep hot, you may want to check out a hybrid or coil-on-coil mattress. Limited free shipping: Nectar provides free to 48 states, but unfortunately Hawaii and Alaska are not included. Additionally, Nectar is unavailable for international shipping. One Level of Firmness: Nectar does not allow you to customize the firmness. Thus, if you are very particular about wanting either a super-soft or super-firm mattress, Nectar may not be the best option for you. Buying a new mattress can be daunting. Not only are there hundreds of options (both in brick-and-mortar stores and online), but they’re expensive. You’ll want to invest wisely. When searching for a new mattress, there are a few key things to look at. The first thing you should think about when researching mattresses is firmness. Do you prefer to sink into a soft, plush mattress? Or, does the idea of a soft mattress make your back ache and you’d prefer something harder? If you don’t know what type of firmness you prefer, we recommend going into a store and testing out a few different mattresses. Test lying on your back, stomach and side and see which mattress firmness feels best. Once you have an idea of what you like, you can begin your search. However, if you have joint pain or a bad back, we recommend a mattress that is on the firmer side. Once you know what type of firmness best suits your needs, you can look at the different types of mattresses construction: foam, coil-on-coil or hybrid. All three are great options and vary slightly, so look at the pros and cons of each to see what best meets your needs. If you are a hot sleeper, you may prefer coil-on-coil or hybrid as opposed to foam. However, if you suffer from joint pain, a foam mattress may be better suited to fit your needs. If you’re looking for a new mattress, chances are you already know what size you want. While most mattress companies carry everything from a twin XL to a California king, this isn’t the case for all. If you are searching for an obscure size, you can easily eliminate companies that do not carry what you searching for. As there are so many good mattress companies out there, the process of elimination is a good way to narrow down the best mattress for you. Once you have narrowed down a list of companies that carry the mattress size you want, take a look at thickness. The average mattress is between 9-12 inches high, but some mattresses are 15 inches or more. If this is an important factor, you can again rule out certain mattress brands that are either too high are too low. As with any new purchase, the price is important. Set a budget at the beginning of your mattress hunt. Compare prices for various mattress companies. Accept all that are under budget, and add a few that are slightly over budget in case you decide to stretch it. If you see any that are way outside your budget, eliminate them immediately. Don’t forget to check out delivery fees. Most companies offer free shipping or delivery. If you find a company that doesn’t offer this service, factor these costs into the final price of your mattress. Most online mattresses companies offer generous trial periods. Some offer a full year. Many brick-and-mortar companies offer trial periods now too. If you are nervous you won’t like your new mattress, compare policies. While the 365-day trials are quite generous, three months is usually more than enough time to determine whether or not you like your new mattress. In addition to the trial period, make sure you take a look at the companies’ return policies. Most offer free returns, but some charge a fee. Without trying a product yourself, the best way to get an idea of whether or not you’ll like it is to read reviews from real customers. If a customer doesn’t like a product, he or she is usually going to be honest in a review. Keep in mind the best mattress for you isn’t necessarily what someone else deems the best mattress. However, if a company has a fair number of negative reviews, you may want to find a different option. Mattresses aren’t meant to last forever, but good mattresses should last at least 10 years. When researching mattress companies, check out the warranty. Some companies offer a lifetime satisfaction policy, while others offer a 5-10 year warranty. Mattress prices aren’t firm. Not only can they fluctuate depending on the time of year you purchase a mattress, but hidden discounts exist. If you’re looking to find the best deal on a new mattress, we recommend using the following tips. If you’re looking for a deal on a new mattress and don’t necessarily need it ASAP, consider waiting until the retail holidays hit. While mattress sales may occur at other dates, these are typically the best days of the year to find the best mattress deals. Key retail holidays include Memorial Day, Labor Day, Columbus Day, Black Friday and Cyber Monday. 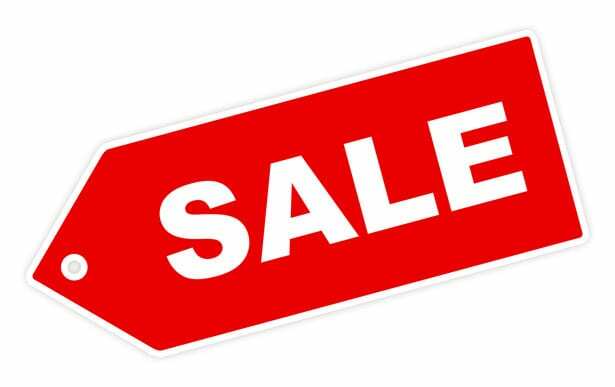 If you see that a big store is having a sale, chances are the mattress companies will have to have their own sales in order to keep up with the competition. When comparing prices, factor in shipping and delivery fees. While most online mattress retailers offer free shipping and free returns, most brick and mortar retailers still charge a delivery fee. Not all states tax health-related products. If you have a bad back or joint pain and think it could be alleviated with a new mattress, talk to your doctor. You may be able to have him write you a prescription for a new mattress. Seriously. Additionally, if you have a flexible spending account (FSA), health savings account (HSA) or a health reimbursement arrangement (HRA), you may be able to use it to pay for a new mattress if your doctor recommends it. The best way to save money on a mattress is by simply asking the retailer if they offer any special discounts. Some mattress companies offer student discounts, military discount and senior discounts. Discount information isn’t always readily available, so make sure to ask. If you’re in the market for a new mattress, we’re sure you have a few questions. We’re happy to help. Below are some frequently asked questions about mattresses and their answers. What Are the Average Mattress Sizes? A: Not necessarily. A box spring is designed to support a mattress and help protect it. While some mattress types require a box spring, others do not. Before purchasing a mattress, check to see if a box spring is required. Keep the above in mind as a base and then add or subtract years depending on use. If a foam mattress is in a guest room and is only used a few times a year, it should last longer than 10 years. However, if a foam mattress is used nightly by someone who is overweight, the mattress may last less than 10 years. Body weight determines the amount of pressure on the mattress, so heavier people exert more pressure than lighter-weight people. As such, heavier and taller people will need to replace their mattress more quickly than a lighter-weight person. How Often Do You Need to Flip a Mattress? It depends on what type of mattress you have. Decades ago we were told to flip our mattresses every six months. Nowadays, some mattresses don’t even require flipping. Coil-on-coil mattress: Most do not need to be flipped. However, they should be rotated once or twice a year. Foam mattress: Most do not need to be flipped, but they should be rotated once a year or more. Hybrid mattress: Some hybrid mattresses are dual-sided, meaning they should be flipped once or twice a year. Others are one-sided and should never be flipped. Rotate these once or twice a year. Q: How Do You Clean a Mattress? Flip the mattress and repeat the steps. Q: If YOU have Bed Bugs, Do You Have to Throw Away My Mattress? A: No. Bed bugs are blood-sucking creatures that tend to frequent major cities. They cause red, itchy welts on the skin and unfortunately are hard to get rid of. Thankfully though, should bedbugs choose to inhabit your home, there are ways to get rid of them for good – even from your mattress. Find out how to rid your mattress of bed bugs. Finding the best mattress for your needs will depend on your individual preferences and budget. To help you decide which mattress is best for you, read our reviews of some of the best mattresses available.